Cap 10 to 20 cm. A mid brown very solid fungus, initially hemispherical and slightly velvety, later slightly convex with a kid-leather texture. 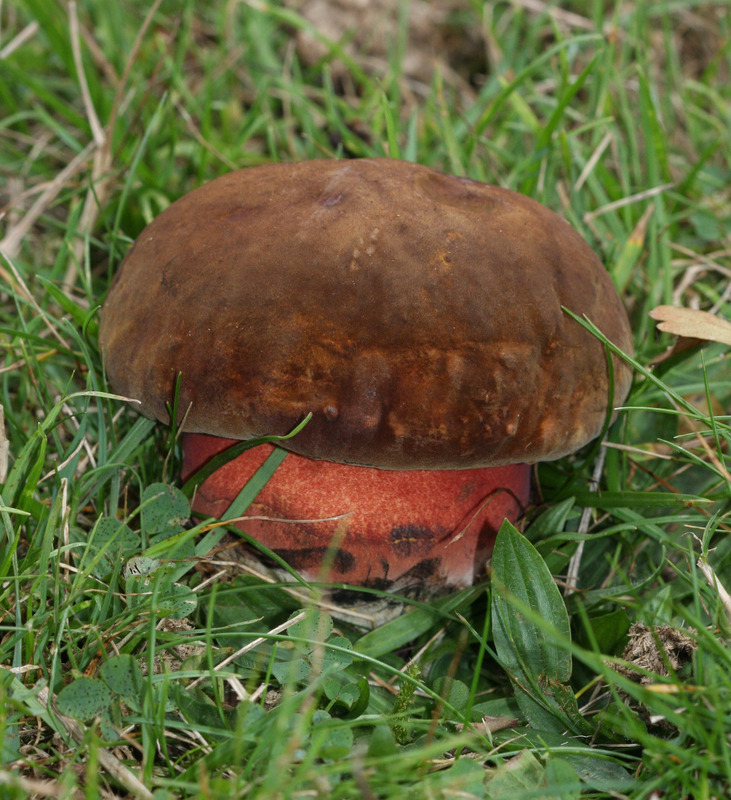 It has a yellowish stem but this is densely covered in red spots often giving it an overall red appearance. The pores are bright red, showing strong blueing when bruised. Flesh is lemon yellow flushing rapidly and strongly blue-black. Peak time is September and October. Occasional in suitable habitats in Charnwood but unlikely in the east. 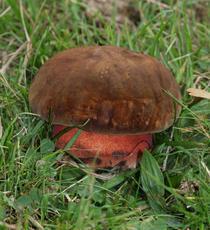 Some authorities have not accepted the recent name change and this species is still entered as Boletus erythropus in the VC55 check-list.